Combine urgency with reasonable reform timelines. Requires states to employ their own academic standards leading to college and career readiness. Provides testing options (for consideration by Congress) ranging from the present NCLB system to state-determined approaches. 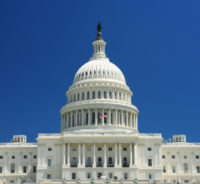 Creates more flexibility for states around allocation of funds between Titles in the Act and eliminates most of the maintenance of efforts provisions, which requires districts to meet certain spending levels to maintain federal funding. Allows states but does not require them to use student achievement as a factor within their teacher and principal evaluation systems. Allows states to develop their own accountability systems and research-based initiatives for supporting schools not meeting accountability expectations. Senators Alexander and Murray have agreed to develop a bipartisan approach for crafting ESEA reauthorization. I applaud that strategy. As soon as the discussion draft was issued by Senator Alexander, we began to see comparative analyses of his proposals with current law, the House-adopted Student Success Act of 2015 and proposals the democrats are advancing in the House and Senate. Certainly this is a worthy educational policy exercise so that lawmakers, educators and the public can clearly see the differences and their implications for both educational policy and fiscal resources needed to implement these policies. But if our analysis is restricted to comparing Republican proposals to Democratic proposals or to existing law, we may be missing the real point. Far more instructive is to screen new proposals for ESEA against evidence that such proposals are likely to lead to instructional improvement and student achievement gains. Rather than falling back on ideology, which may result in exchanging one unproven idea with another, why not gauge the worth of proposals on whether they bring the best ideas and practices to educators facing serious educational challenges? Let’s not forget that the reason why President Bush and Congress advanced NCLB was because too many schools were failing their students. Federal, state and local initiatives were largely unsuccessful for many at-risk students. So returning to practices from the pre-NCLB era may not equate to doing what’s best for teachers and students. Identify what educational needs the initiative or program is addressing. Provide a rationale for why the federal approach is either successful or not, citing evidence or research, not ideology. Explain how the new provision either supports past successes or addresses present-day failures, again citing evidence or research, not ideology. Assess the capacity of shrinking state educational agencies and resource-starved school districts and schools to successfully implement these new provisions. Recognizing that evidence or research may not be available or compelling in support of new policies, ESEA must continue to fund research that will help fill these gaps in knowledge. In short, ESEA reauthorization should not be about establishing policies that are ideologically consistent but rather about insisting on policies that work for teachers and students. Please, let’s not get caught in the trap that 51 separate approaches will always produce the best results for our students. Or, for that matter, that one federal approach is the best way to go. Students in failing schools want a meaningful education, irrespective of whether the policies behind that are federal, state or local. The Alexander bill does require the use of “evidence-based assistance strategies and activities” for intervening in low-performing schools. A similar evidence-based approach should be required across ESEA provisions. Will legislators have the courage to say, “Give me evidence that this is the best approach, before I vote on it?” Any who take that approach have my vote.